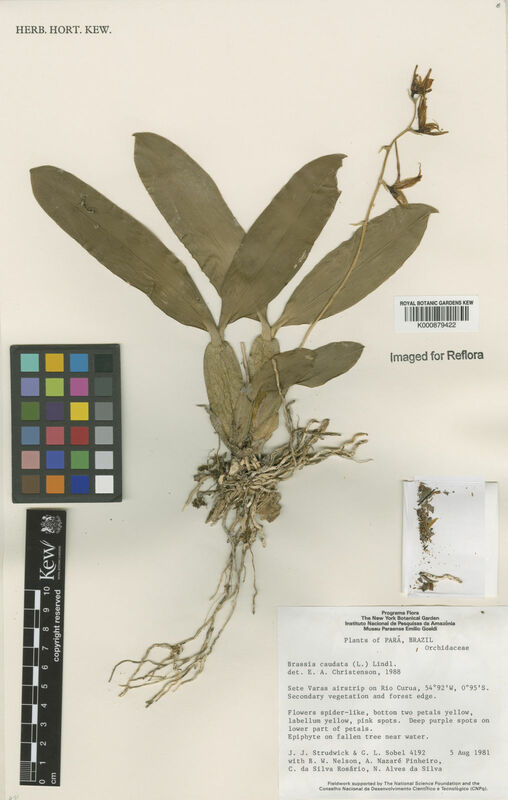 This species is accepted, and its native range is S. Florida, Mexico to Tropical America. Nativa en Colombia; Alt. 125 - 125 m.; Amazonia. Brassia longissima var. minor Schltr. Pessoa, E., de Barros, F. & Alves, M. (2015). Orchidaceae from Viruá National Park, Roraima, Brazilian Amazon Phytotaxa 192: 61-96.